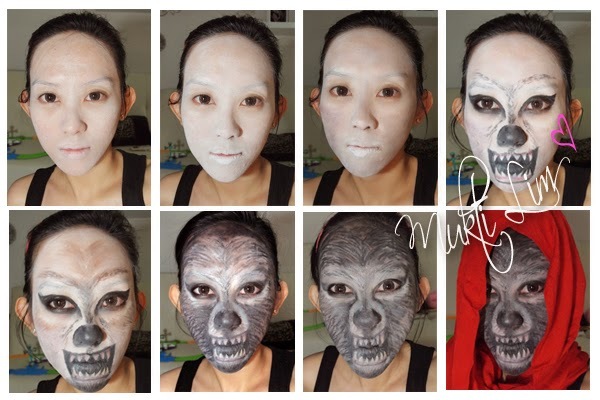 Fantasy Makeup : Werewolf Face Art "The Mortal Instruments"
Finally I can create this post! 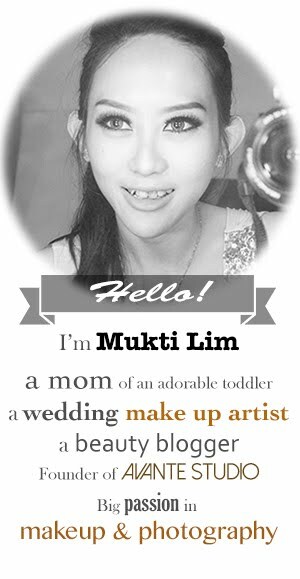 I love beauty make up but when I have to do something more than beauty, hmmm... that's more challenging for me! It's the time to change my face into something that perhaps not real in this real world or perhaps real but we don't see them. For today's FACE ART I bring a supra natural creature to you. I changed my face into something that perhaps if I met this creature , I would suddenly faint! 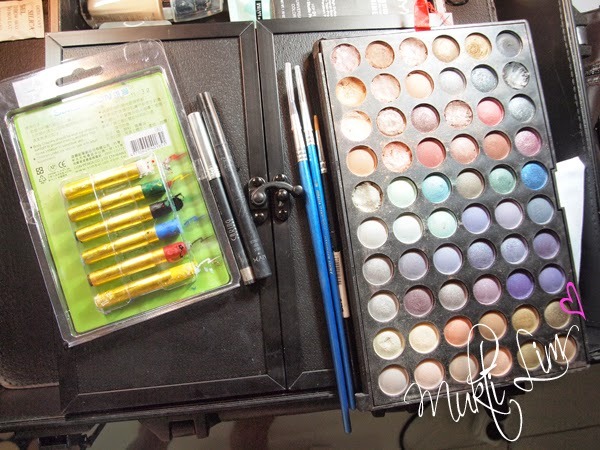 Special thanks to my IBB friends who made all this make up collaboration and they did very good job ! I'm very happy can do this kind of collaboration with them. We're Downworlders. We live at The Downworld, chasing and hunting each other, hiding and running away from The Shadowhunters, and fighting The Demons which escape from their cages to hunt us. We are vampires, warlocks, werewolves and fairies, we should fight for our life. When we're arrested and accused of a crime, The Silent Brother will come and investigate us. They will scramble our mind and go deep until our deepest memories, our happiest and saddest memories... Its painful.. Confused? 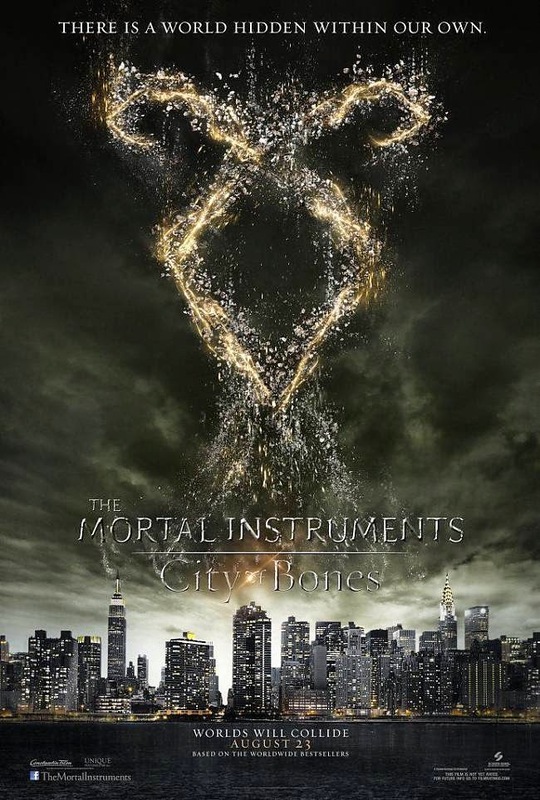 Have any of you read the MORTAL INSTRUMENTS book or perhaps the movie? Honestly, I did not know this movie or even the book hehehe... 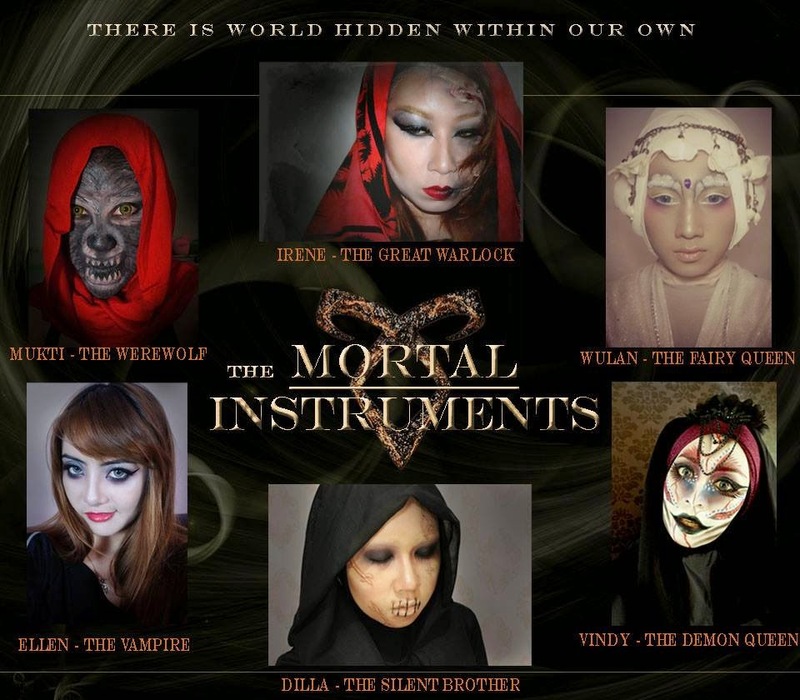 I heard about this only when my hubby asked me if I want to buy Mortal Instrument makeup edition from NYX *ehemm so kind isn't he? The point is that we bring the DOWNWORLDERS to you ! we actually part human and also part demon. We are the children of the moon aka WEREWOLVES, the children of the night aka VAMPIRES, the children of lilith aka WARLOCKS and FAIR FOLK aka FAERIES. So as you can see at the image above, I chose to be a werewolf ! All products used to help my transformation are easy to find and pretty simple! 1. First I put all the cream tint all over my face as the face paint base. My Face painting crayon is not quite good. It 's easily melted when having too long contact with my oily skin. So this base will help the face paint to stay. 2. Put the white face paint all over my face. 3. Put Grey eyeshadow on my cheeks, forehead and chin. 4. Start to draw teeth , mouth , nose, eyes, etc with eyeliner. 5. 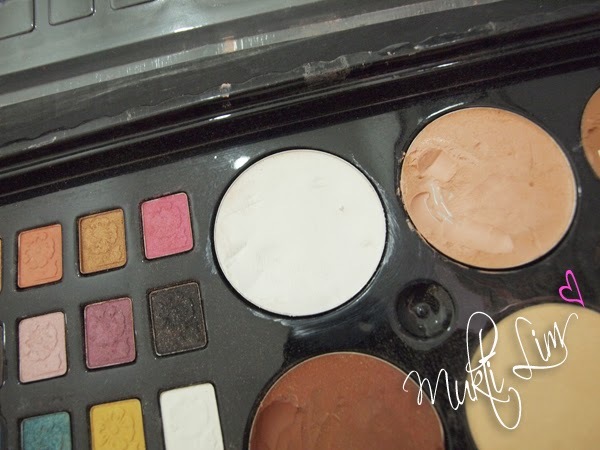 Add some brown eyeshadow to give natural effect on your fur. And this is my final look ! 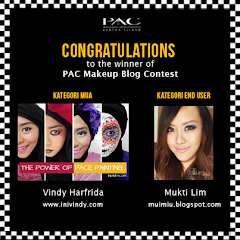 Btw itu pashmina merah selalu menemani makeup karakterku... dulu juga pernah nemenin waktu makeup JOKER (klik disini ) *big grin*. Your comments are highly appreciated friends! 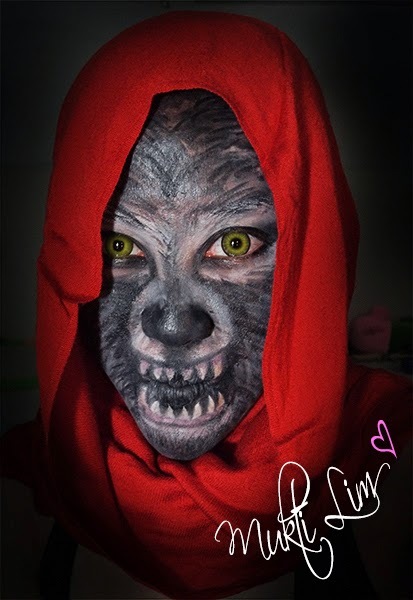 aaakk ini keren syekaliiiii >,< furnya keliatan ky beneran ce, yg pake kerudung merah itu warewolf abiiiss!! Gilakkkk, kerennyaaa . 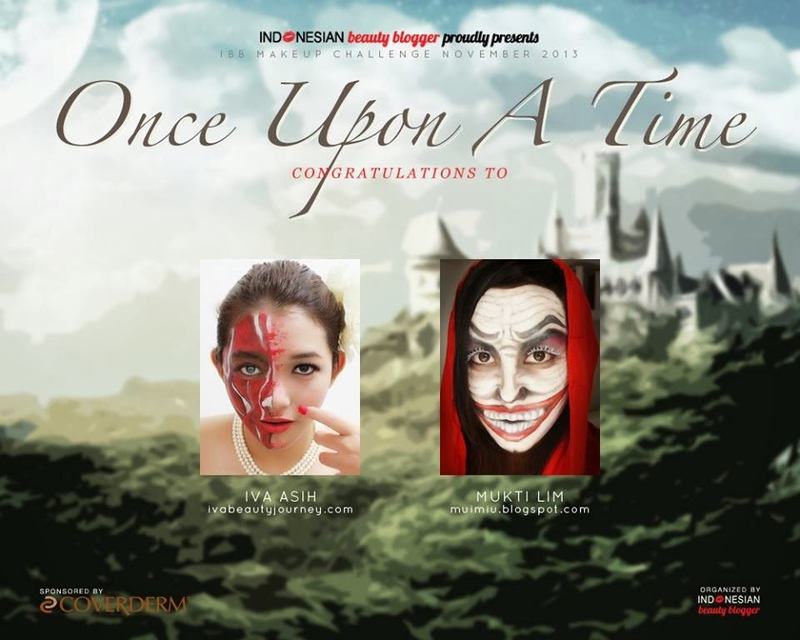 sampe merinding liatnya serasa liat werewolf sungguhan . kereeennnn!!!! ga ada yg bisa diucapkan, udh 10 jempol!! 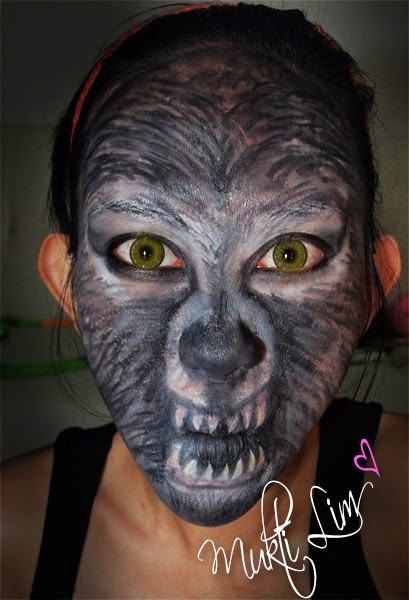 Cc kerenn polll... ♥♥♥♥ WereWolf benerann nihhh!